It’s the beginning of a new year and it’s always a good time to pause and reflect on how far we’ve come and on the opportunities that lie ahead. In the short time this web site has been up I’ve written 54 posts and traffic has been slowly increasing. 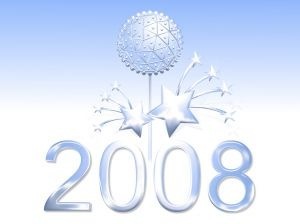 2008 promises to be a great year and you can expect to see over 200 new posts. That’s a lot of information for most people to read (and research from this end), and by posting it a little at a time it’s easily achievable. IT security is a massive industry. On the surface it’s a battle between people with bad intent and with security professionals working on behalf of all users. The best line of defence is to learn as much as possible and to use that knowledge to avoid being caught in the middle of this battle. Fight fraud with knowledge. And if there’s one piece of advice I’ve kept repeating it’s to invest in a good anti-virus program. With that I wish everyone a great new year.